Technically, Nvidia did not announce any smart TVs at CES. Instead, the company announced a set of 65-inch monitors that it’s calling Big Format Gaming Displays. Built by Acer, Asus, and HP—but all using the same 4K HDR panel—they’re supposed to bring high-end PC gaming into the living room. But if you look past the gaming elements, Nvidia’s BFGDs could become the best smart TVs that money can buy when they arrive in the second half of this year. Their display quality rivals some of the best televisions from companies like Samsung, they use a fancy variable refresh rate technology that no other television has yet, and they have the guts of an Nvidia Shield TV—arguably the best media streamer on the market today—built in. The only thing missing is a TV tuner for pulling in over-the-air TV broadcasts, which precludes Nvidia from using the term “television” to describe its new creations. That doesn’t mean you should overlook BFGDs next time you need a new living room display. Although Acer, Asus, and HP use different industrial designs and might offer some minor distinguishing features—such as more HDMI inputs or better built-in speakers—all three BFGDs use the same panel, manufactured by AUO. It’s a stunning display, using the same kind of quantum dot filtering that appears on high-end LED TVs from Samsung and others. It also has a peak brightness of 1000 nits, which is what the UltraHD Alliance recommends to see the full benefits of 4K HDR. Perhaps more importantly, the BFGDs will be among the first TV-sized displays to support variable refresh rates, in this case using Nvidia’s proprietary G-Sync technology. This allows the BFGDs to avoid screen tearing and stuttering by matching the display’s framerate on the fly to whatever’s happening on screen. While variable refresh rate is obviously useful for matching the ups and downs of video game framerates, it also comes in handy for video, whose refresh rate can vary depending on the source. The BFGDs can switch between 60-frames-per-second YouTube videos and 24-frames-per-second movies without having to flash a blank screen like today’s TVs do. It can also handle 25-frames-per-second videos in the PAL format that U.K. broadcasters use without any screen tearing. Granted, Nvidia won’t be the only company offering those features in a television this year. Samsung plans to support variable refresh rate in some of its new high-end televisions, which also offer 4K HDR with quantum dot technology. Variable refresh rate should also come to more televisions in the future through the HDMI 2.1 connector. What really helps Nvidia’s BFGDs stand out, then, are its smarts. 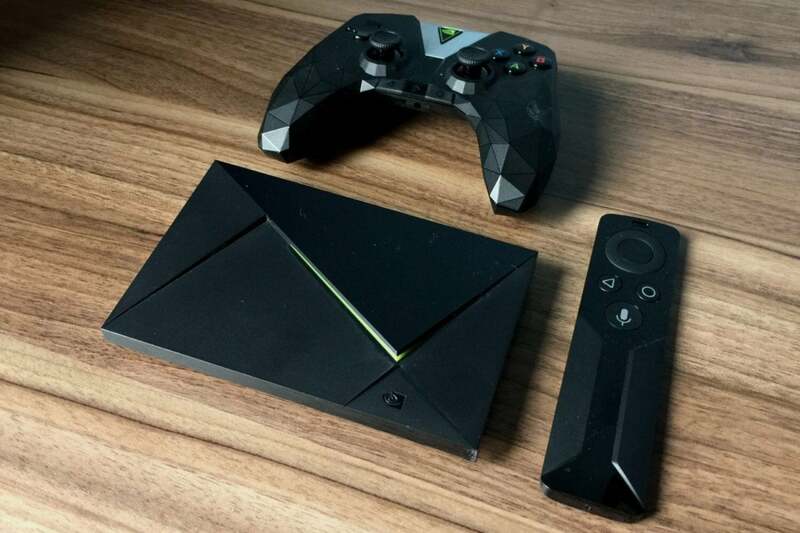 As a smart TV, the BFGDs function identically to an Nvidia Shield TV streaming box, which runs on Google’s Android TV platform. It can run apps from the Google Play Store and uses the Google Assistant for voice controls, and it can turn the television into a Plex server, SmartThings hub, or over-the-air DVR box. Performance be much smoother and faster than your average smart TV, since the BFGDs and the Shield TV share the same Tegra X1 processor. BFGDs have the same smart TV innards as an Nvidia Shield TV streaming box. As for the lack of a TV tuner, that’s not a major problem seeing as you can plug a tuner into one of the BFGD’s USB ports (or use a networked tuner, such as HDHomeRun or Tablo). This allows you to watch and record over-the-air channels through an app within the Shield’s interface. There’s just one problem: Neither Nvidia nor its hardware partners are talking prices yet, and these displays aren’t likely to come cheap. If you’re enamored with the Nvidia Shield, but don’t want to pay through the nose for a television, you can still buy the streaming box on its own for $180 (or $200 with a bundled game controller). Daniel also said to expect an upgrade to Android 8.0 Oreo for the Shield TV sometime in 2018, although he wouldn’t get any more specific than that. "We’re sending a lot of changes back to Google that we want to see, so we’re making changes with Google," Daniel says. Part of the holdup is Oreo’s new interface, which lets each app advertise a row of content on the home screen, and offers a "Watch Next" section where users can quickly catch up on favorites from different streaming service. Right now, most app makers haven’t bothered to support those new features; Nvidia has been trying to get them on board. "That’s the whole interface, right? And if you release a whole new interface, and the apps aren’t supporting it, then we don’t feel like it’s a good launch for us,” Daniel says. “So we’re working hard on that."